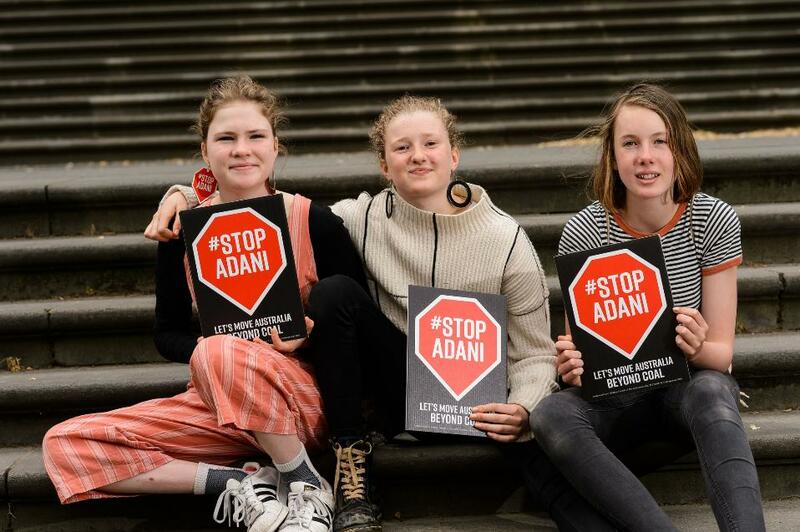 School students from central Victoria have begun striking from school to protest political inaction on climate change and the Adani coal mine, kicking off a month of action across the nation during November. School students aged 5-18 are now organising school walk out events in cities and towns across Australia, including Cairns, Brisbane, the Sunshine Coast, Sydney, Albury, Lismore, Bowral, the Southern Highlands, Canberra, Melbourne, Hobart, Adelaide, Perth and more. Today students have been gathering with other kids on the steps of Victorian Parliament to announce that strike actions will culminate in a Big Walk Out day of action in Brisbane, Melbourne, Sydney on 30 November 2018. Harriet O'Shea Carre, Milou Albrecht, Callum Bridgefoot and classmates in central Victoria kicked off the month of action, inspired by 15 year old Swedish student Greta who started striking this year and strikes with other kids every Friday. The idea for the Australian strikes came from the Castlemaine students, who contacted the Australian Youth Climate Coalition for help. 14 year old High School student Harriet O'Shea Carre said “As young people, we will inherit the decisions that our politicians are making about climate change. When they approve giant new coal mines like Adani’s, are they thinking about how this will affect us? 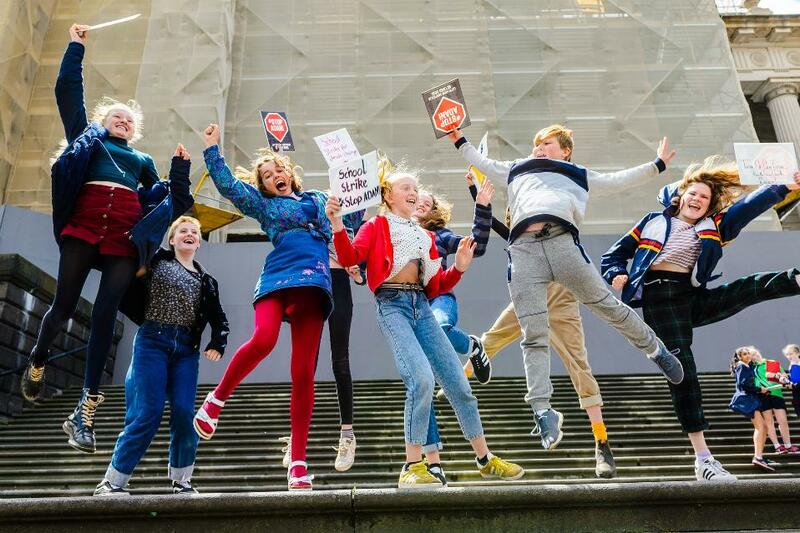 “We learn in school that scientists think we have just a decade to avoid the worst impacts of climate change and yet our politicians are busy helping rich companies mine and burn more coal that will only make this worse. Callum Bridgefoot, 11 years old, said “Some of us are striking for a day, others a week, others one day each week. While we’re on strike, we’ll be visiting our Federal politicians to let them know what we are doing and why. We can’t vote yet, but we will one day and our views are important. We will be speaking with other young people in our areas too. “On November 30, many of us will strike together in capital cities as part of Big School Walk Out events. We are inspired by how many students are keen to join us. We are going to keep taking action until our politicians start acting and stop digging up more fossil fuels.